Kim Hong Soek, a 19 year old tourist from South Korea was riding a banana boat (large towed inflatable) behind a tow boat in the Riau Islands (in Indonesia) on Saturday 9 January. 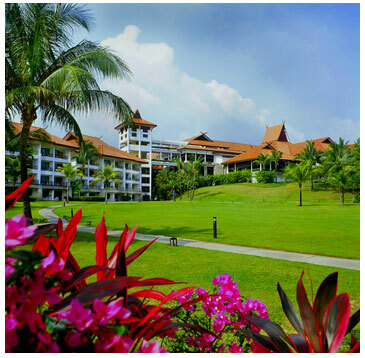 Kim Hong Soek, his parents, and brother were staying at Bintan Lagoon Resort, a well known luxury resort. Their website says they have a staff of over 500. We checked the resort’s water sports page. The first item listed is “Banana boat ride” however no photos are provided (or they have been since removed). The remaining photos are of Canoeing and Jet Skiing. A resort employee was operating the boat towing the banana boat. Kim Hong and another passenger fell from the banana boat. The resort employee and his assistant turned the boat around to go pick them up. The tow boat struck some waves, the boat operator and his assistant were ejected. The tow boat then started circling in the Circle of Death. Kim Hong was struck by the propeller after the boat made several circles. He died from his injuries. Thanks to the Jakarta Post for their in depth coverage of this accident. As we further study Bintan Lagoon resort, it appears the place is so large it is probably contracting with smaller operations to run a number of tours and events (like cruise ships do at ports). It looks like there might even be more than one such organization providing banana boat rides, and each organization may have several banana boats. This is a big place. If that is the situation, it would make any potential financial recovery by the victim’s family even more difficult. We have considerable more information on banana boat accidents, but would first refer those further interested to the MAIB report on the Princess Club Water Sports accident in the UK. 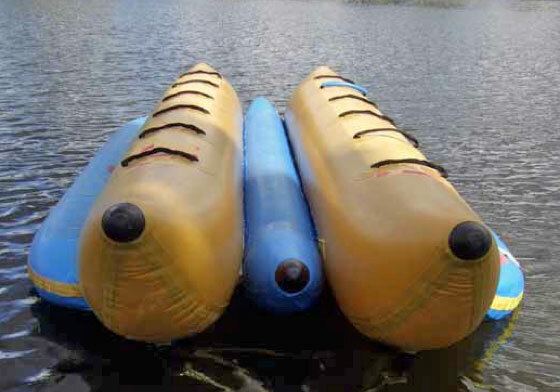 MAIB conducted an investigation and wrote a detailed report that provides many ideas for those thinking about improving the safety of banana boat rides. We also note this is yet one more tourist propeller death. We are seeing many tourists killed by boat propellers in remote water tourism destinations as seen in our list, Tourists being struck and killed by boat propellers in diving / snorkeling areas. Medical care is often distant and limited at International water tourism destinations as well.